Owners of post-1989 forests in New Zealand due for harvest might be tempted to arbitrage carbon credits, leaving taxpayers with the bill and driving liquidity out of the carbon market. Spot NZUs are currently sitting just below the Government’s $25 price cap and are well short of the $200 the Productivity Commission says is needed to drive decarbonisation of the economy. That means that anyone with a current carbon liability – such as the owners of production forests that are being harvested – could be tempted to pay the Government $25 a tonne and sit on any credits they are holding in the expectation they will increase hugely in price. Under the Emissions Trading Scheme’s current rules, emitters can either surrender a carbon credit or pay the Government $25 for every tonne of liable emissions, a policy introduced by the National Government in 2009. In February, Motu Research policy fellow Catherine Leining warned the current Government that with spot NZUs sitting at $21.50, it needed to lift the cap or risk incurring a large carbon debt for taxpayers as emitters started arbitraging. “As the price approaches that $25 threshold, to me there’s a clear incentive for participants receiving NZUs to just hold those NZUs and buy out their obligation at $25 a tonne, which places that obligation on the Government to find the emission reduction,” she told a policy forum in Wellington. Climate minister James Shaw acknowledged that risk, but said he was unlikely to move on the cap until next year. 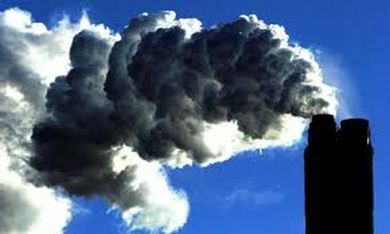 “I recognise that if the NZ ETS participants use the $25 fixed-price option extensively, it could shift some of the cost of meeting our 2030 emission reduction target from emitters on to the Government, and therefore taxpayers,” he told Carbon News in March. Under the Emissions Trading Scheme, forests planted after 1989 are eligible for carbon credits in recognition of the carbon they store. However, when the trees are harvested, they incur a carbon liability. Many of those forests are now coming up for harvest. Forest Owners’ Association president Peter Weir says that with spot NZUs now at $23, it could be tempting for the owners of those forests to arbitrage in the expectation of selling their credits for much more in the future. “Why would you surrender your NZUs which are likely to be worth 10 times as much in five or 10 years’ time, when you can just pay the Government $25 a tonne and keep them?” he said. The arbitrage opportunity applies also to some of New Zealand’s largest industrial emitters, who can apply for free carbon credits from the Government to cover up to 90 per cent of their carbon liabilities. In 2011, a review of the ETS, led by former Cabinet Minister David Caygill, recommended the price cap be lifted by $5 a year, starting at $30 a tonne in 2013 and reaching $50 a tonne in 2017. The 2015 review of the scheme said that the $25 cap would not be appropriate for the 2020s, and in November Shaw told Carbon News that he thinks carbon prices need to be higher than $25. He recently said that consultation on the next review of the ETS would start within a month.